California Civil Code Section 2782 has been amended numerous times over the last several years. However subcontractors should be aware that the anti-indemnity statutes may not be fully effective for contracts entered into before January 1, 2009. After 1/1/09 Type I indemnity is gone in a residential construction context. Prior to 2009, some developers and general contractors attempted to comply with the new law, and changed the indemnity provisions of their contracts post January 1, 2006. The time bracket, or zone of danger if you will, is between 1/1/06 and 1/1/09—during those three years California Civil Code §2782 was amended several times. Type I indemnity provisions in residential construction contracts entered into after 1/1/09 that purport to require subs to indemnify builders/GCs/other contractors against liability for their own negligence ARE NOT enforceable;This bill would delete the provisions applicable to construction contracts entered into on or after January 1, 2008 that purport to indemnify the general contractor or contractor not affiliated with the builder. The bill would revise the provisions applicable to contracts entered into after January 1, 2006 to instead apply to contracts entered into after January 1, 2009 and to apply to agreements that purport to insure or indemnify the builder or the general contractor or contractor not affiliated with the builder, as described. If a developer persisted in including Type I clauses between 1/1/06 and 1/1/09 (in effect ignored the law in 2006—and we have seen instances of this in our cases) then we believe that such Type I clauses would be deemed enforceable today. So the key is to examine the indemnity clause of each contract during this three year period and not to rely solely on the date itself, devoid of the contractual context—that absolute line in the sand was shifted out to 2009. However, this particular issue has not been examined by any appellate court and legislative history suggests that the 2005 and 2007 versions of subsection (c) amendment have been abrogated, meaning that contracts with Type I indemnity provisions entered into on or before 12/31/08 ARE enforceable. The Legislative Counsel’s Digest for the 2008 includes the following statements: This bill would delete the provisions applicable to construction contracts entered into on or after January 1, 2008 that purport to indemnify the general contractor or contractor not affiliated with the builder. 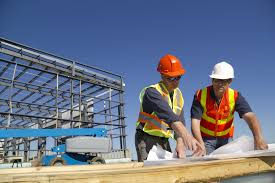 The bill would revise the provisions applicable to contracts entered into after January 1, 2006 to instead apply to contracts entered into after January 1, 2009 and to apply to agreements that purport to insure or indemnify the builder or the general contractor or contractor not affiliated with the builder, as described. If you have any questions about the applicability of indemnity agreements in construction contracts, please contact one of our experienced construction lawyers today.